Prepare to dig deeper to fill up. 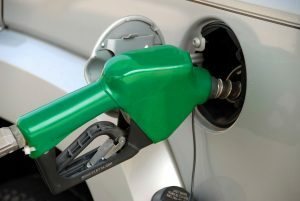 The Utility and Review Board set its weekly petroleum prices overnight. Gasoline rose 3.6 cents a litre in the eastern mainland and 3.7 cents in Cape Breton. The minimum price for a litre of regular self serve unleaded is now $1.30.2 in the eastern mainland and $1.31.1 on Cape Breton. In the past two months, gasoline has jumped 31 cents a litre. Diesel is also up by 1.8 cents a litre in the eastern mainland and 1.9 cents on Cape Breton. The minimum price for a litre of diesel is $1.23.6 in the eastern mainland and $1.24.5 on Cape Breton.